BCCI also stated that for a WIPL to be organized it will require a lot of funds which are unavailable with the board at present. The Indian Women’s team is currently enjoying their time off the field. The eves have been busy attending felicitations and events since their arrival back in the country. Meanwhile, the BCCI has stated that there no international fixtures planned up for the girls as of yet. However, the board also confirmed that it will soon announce the upcoming schedule for India Women’s cricket. The team made the nation proud with their performance in the mega event. The ladies qualified for the finals after some incredible performances throughout the tournament. They were awarded for their grand show by the BCCI as well as the Indian government. “We will be discussing the issue about upcoming international fixtures for the women’s team very soon,” acting secretary of the BCCI, Amitabh Chaudhary replied to a query from PTI after the Special General Meeting. Many people feel that the interest of Women’s cricket in India is still ignored. “Look at the men’s team. They played the Champions Trophy final and then flew to West Indies and are now playing in Sri Lanka. But there are no such plans in place for women’s team. In order to maintain the interest, at least a proper plan should be in place for next one year,” a BCCI official who was present at the felicitation of the Women’s team was quoted as saying. It is reported that the BCCI is discussing things for the future development of Women’s cricket. 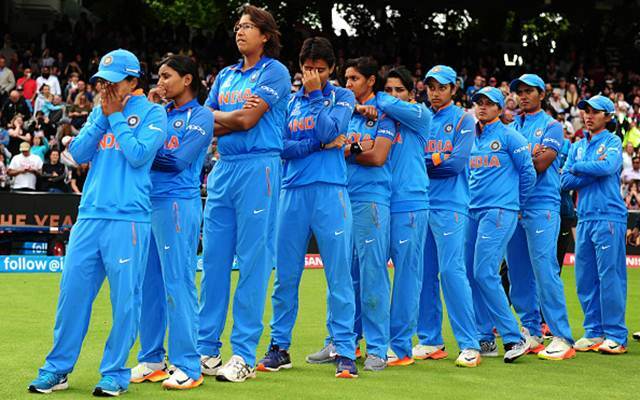 The Committee of Administrators (CoA) chief Vinod Rai has formed a committee that will look into the pay hike and central contracts of Indian Women’s cricket team. “The committee will comprise of coach (Tushar Arothe), skipper (Raj) along with Diana Edulji, acting Secretary Amitabh Chaudhary. This committee will take stock of pay structure for women as well as decide on the international fixtures in the coming months,” the official added. “I am afraid we don’t have that many in India right now. When you are speaking about IPL, that means it’s not about exposure but also quality matches palatable for crowd,” the official, who has worked with women’s cricket added.